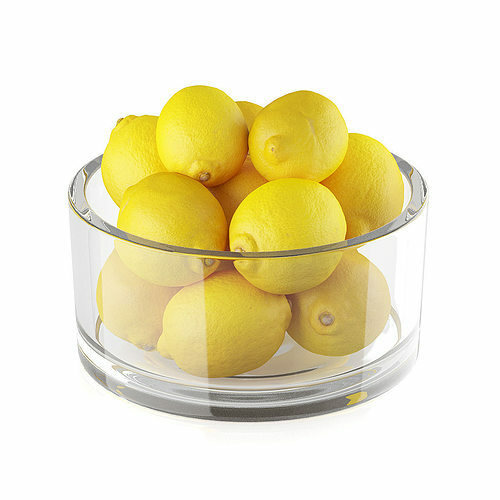 3d model of several lemon fruits in round glass bowl. 3d scanned from real product. great textures, looks loke scanned model!